Weekend Obsession: Mango Spring Essentials! By now your closet should have been cleansed to make way for some new spring threads. The first round of the Mango S/S’14 Collection is officially in stores now and here is an exclusive look at some of the outfits you can rock for the new season from work wear to street casuals starting with this one of a kind denim stonewash embossed blazer with metallic chain detailing. A statement piece with understated charm that you can carry with anything. Pair it with some gunmetal chain bling also new at Mango for an added effect. Some spring time boho is a must this season and here’s how to nail the look with tye dye effect printed silk palazzos (also available as a dress) and a denim vest. You can also pair the cute vest with floral maxi dresses and then pile on the some chunky layered necklaces as needed. We love the punkish edge Mango brings to its new collection using stone studded skull art and scuffed up denims. Leather cuffs and metal chain belts complete the look with a cool cheetah print scarf for added measure. A pair of white skinnys are also a major wardrobe must have! We were instantly charmed by this lovely shaded muslin scarf that is complimented beautifully by the sheer cream top with the deliberate unfinished edging that gives it a natural earthy vibe. A jaquard white blazer with a pop of pure fuschia crepe with all white skinnys and luscious bronzed python skin peep toes was our next stop. Mango introduces breezy light fabric blazers for spring time so you can pull of a chic smart look with out feeling layered up. We especially fell in love with the cotton knit blazers shown below that are made of the softest sweats fabric with pinstripe lining and fold over sleeves. Available in grey and black one can wear the jacket with a tee and be good to go with a pair of loafers or ballet flats. These sailor cotton trousers are perfect for day time wear and a lot less hot than your regular denims! Coral is the trending hue for spring and here’s how you can wear it for day or night! Visit the Mango outlets at Dolmen Mall, Clifton, Karachi or at AK Galleria, Y-Block, DHA, Lahore to view this and a lot more in store. What's in Store? : Gul Ahmed G-Woman S/S'14 Stitched Collection! What's in Store? 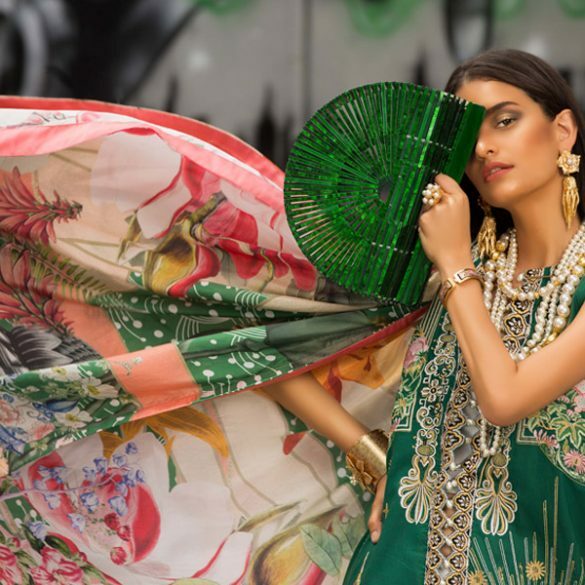 : Labels Brings 'Tughra' by Shamaeel Ansari!